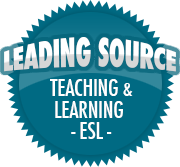 Love at first “sight”: Teaching high-frequency sight words — ReadWriteServe Tutor Blog | So, You Think You Can Teach ESL? ← Ho! Ho! Ho! It’s Almost Christmas! – Five Fun Holiday Activities for ESL Students!